Sea of Thieves is getting their next major expansion update Shrouded Spoils for free on November 28. Although action-adventure game Sea of Thieves from Rare and Microsoft Studios was exclusive to PC and Xbox One, it didn't excite them for too long but kept everyone engaged anyway. This was possible because the developers kept adding more content to the game. 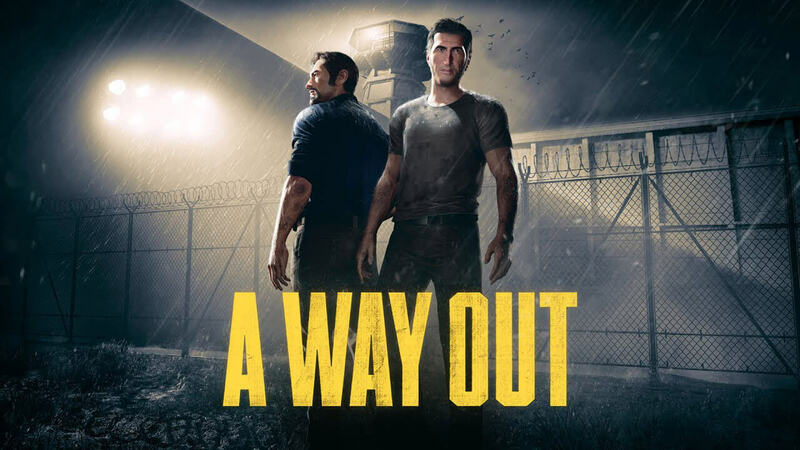 So far, three expansion packs are released, which added gameplay mechanics for you to access even today and was absolutely free. Their next and fourth free major content update Shrouded Spoils will focus more on re-invigorate the game when it will come out on November 28. 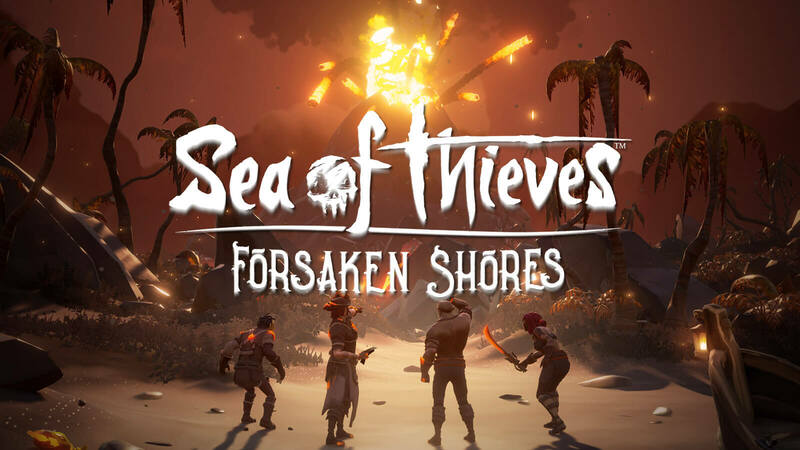 Looks like the pirates at the sea are getting a treasure trove as new content and just like always, Rare Studios worked on stuff the community has been asking about and more improvements as well. Don't forget to look for new riches and spoils when it drops. New mechanism of fog can arrive at any time and conceal all sorts of dangers at land and sea, leaving you exposed to them. Six new skeleton forts are included for players to take on and that just makes the total number of them to nine. You have faced the Kraken and Megalodon before, right? Guess what? They are back again and now aside from terrorizing the sea and wrecking your ship like a twig, they decided to be generous enough to drop loots for you. Sounds crazy, right? Kraken has been designed to spawn more frequently and will prove to be tougher than before to give you an epic boss battle. He has learned a nasty move called the Kraken slap but downing each of its tentacles will reward the crew. Meg on the other hand has gotten some cosmetic makeover. More ship customization options like adding cannons, wheels and cosmetic sets are coming. 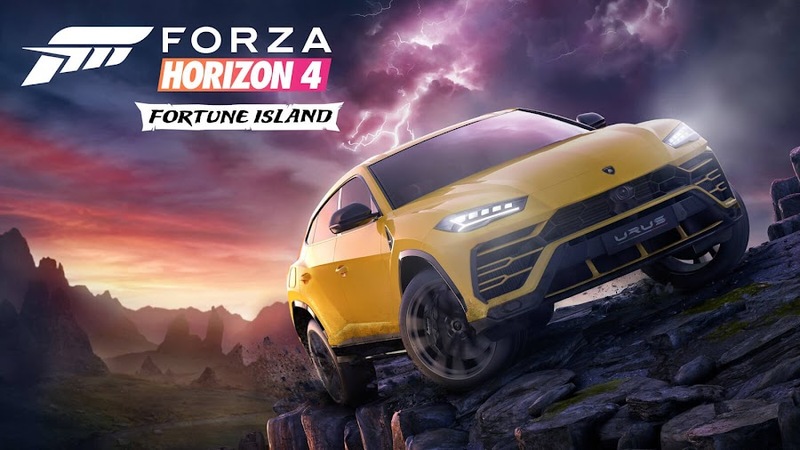 To get this free update, you either need a copy of the game or access through Xbox Game Pass and starts sailing towards the adventure that your inner pirate is calling you to. 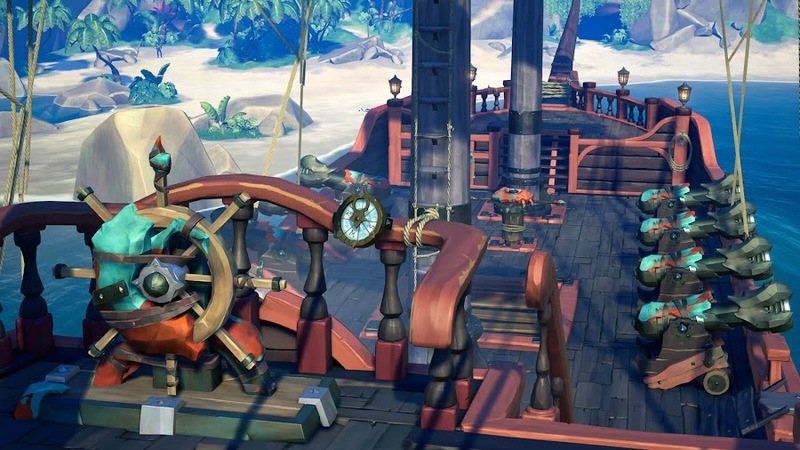 For 2018, Shrouded Spoils will be the last expansion update for Sea of Thieves and Rare Studios is already working on a fifth to release on 2019. 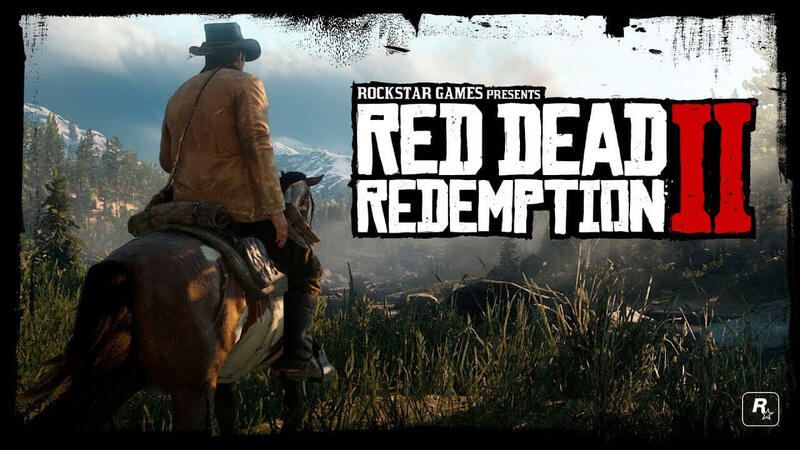 It will divide the game world into two parts where you can play PvP matches in mode called Arena and the standard experience will become Adventure mode. Sea of Thieves reaches a new region of The Devil’s Roar in the recent free update Forsaken Shores. 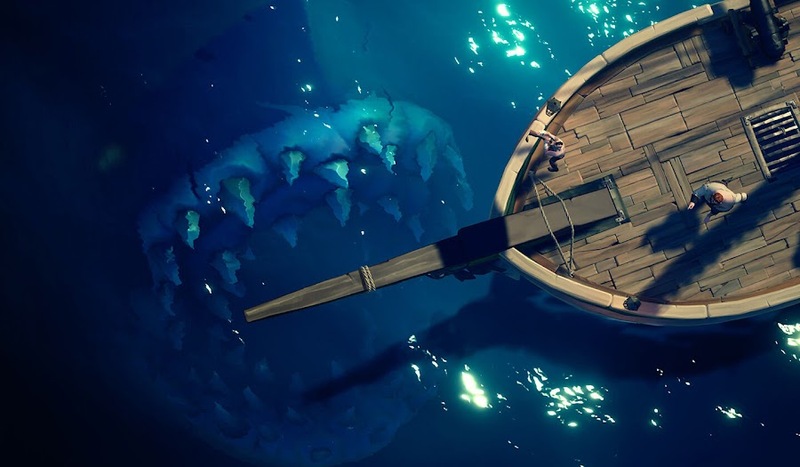 We already have our first look of what developer Rare Studio and publisher Microsoft Studios cooked up in a latest free content for action-adventure title Sea of Thieves at Gamescom 2018, which is coming soon as the biggest update for the game. 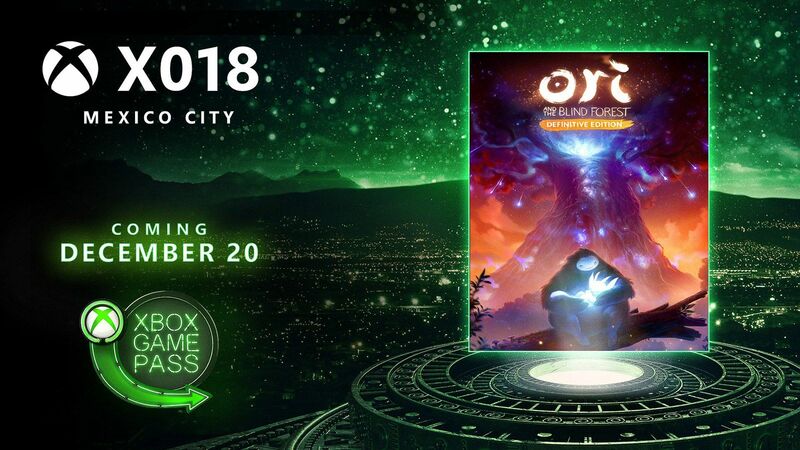 Whether you already own the game or been accessing it using Xbox Game Pass, you don't need to spend a single dime to get this one. 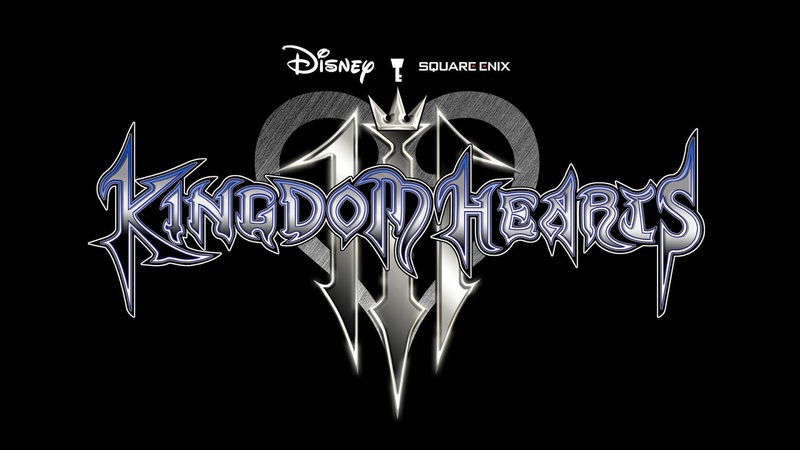 So, we guess there are no more excuses for fellow community members to set sail for more, exciting adventures. Below is a video of all the details from release notes and watch British actor Matt Berry (House of Fools, The Wrong Door) filling you in with everything you need to know. Players of the game are beginning their journey towards the The Devil’s Roar, which is known for being a volcanic region. Up until now, they haven't encountered anything like this and now there are volcano eruptions and heavy earthquakes to shake them down. Also, no one is safe from a sudden spring of geysers, not to mention the hot water around the isle. To help you find the way among these lands, this update introduces Row Boats. Remember, with great challenges, there are great rewards as well. While this new content launches on September 27 for everyone to experience and to last forever, there comes a time-limited campaign that will run for four weeks and it will reveal the fate of the first crew that ever came to The Devil’s Roar. Aside from that, you will discover new quests which will lead you across the world for some cargo runs with the Merchant Alliance. It will not be there before week three but making successful trips by delivering the goods properly earns you some serious prize. Another great thing to add is that from November 8, Sea of Thieves will support traditional Chinese as a language option officially. This is a great way of making all pirates from over the world join for an epic adventure and enjoy it at its fullest. 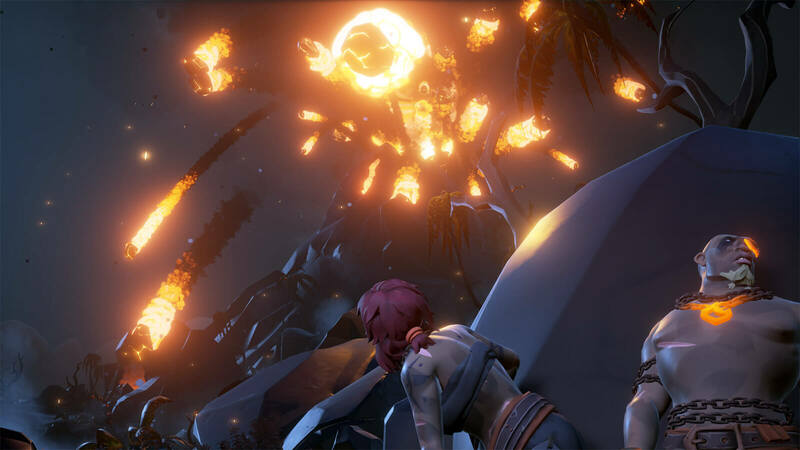 People have been patiently waiting for Forsaken Shores and Rare Studio hopes to make it worthwhile. Hopefully, it will be greatly appreciated after all the hard work from developers and Devil’s Roar will become a new pirate destination for seven seas. Have been hearing stories of a new threat sailors on the Sea of Thieves are facing? It's Rare's The Hungering Deep update for this summer. Alongside zombie survival game State of Decay 2, Sea of Thieves from developer Rare Studio and publisher Microsoft has been an anticipated Xbox-excusive of 2018. 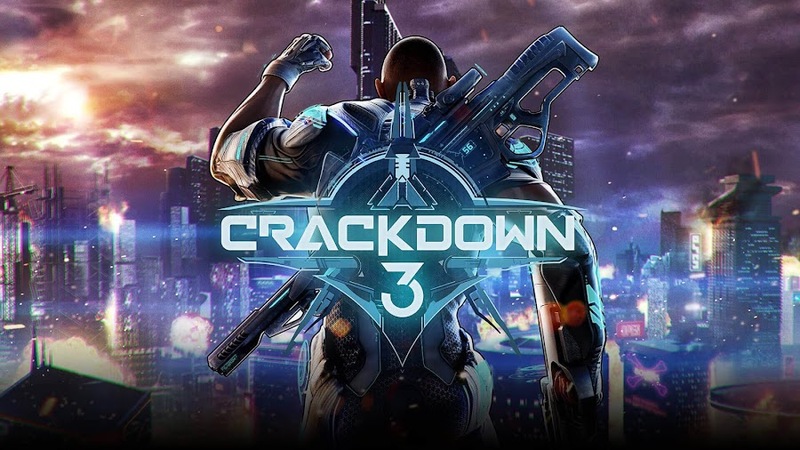 Launched earlier this year, it already managed to gain positive reception for different style of gameplay and they had three downloadable content planned to release this summer. The studio just released their very first major update for the action-adventure title, "The Hungering Deep", which is a free expansion. Before we talk more on what it is all about, let's hear it more from an old pirate who knows more about what's ahead than any one of us. This update is now live and it introduces some brand-new content that are here to stay. Do not mistake this as one of those regular weekly patches as this one is quite extent. 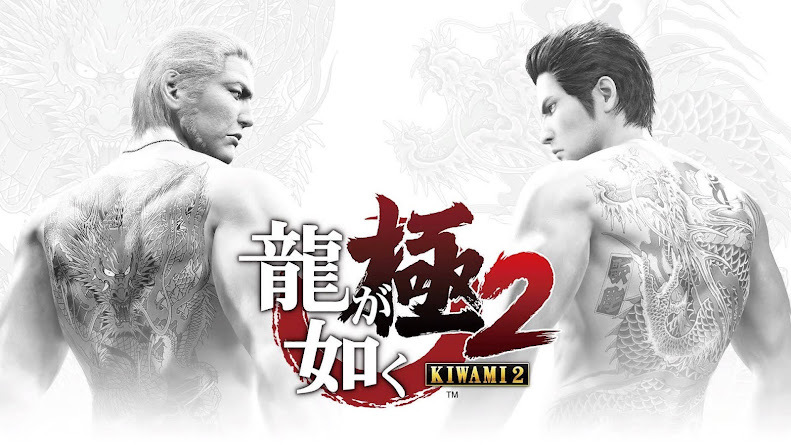 For starters, they have added new menacing enemies, items and other cosmetics like scars and tattoos to make your character look more authentic to their nature. With The Hungering Deep, Sea of Thieves also launches a limited-time event for players and promises to keep this up for their fans if they keep looking for more treasures. 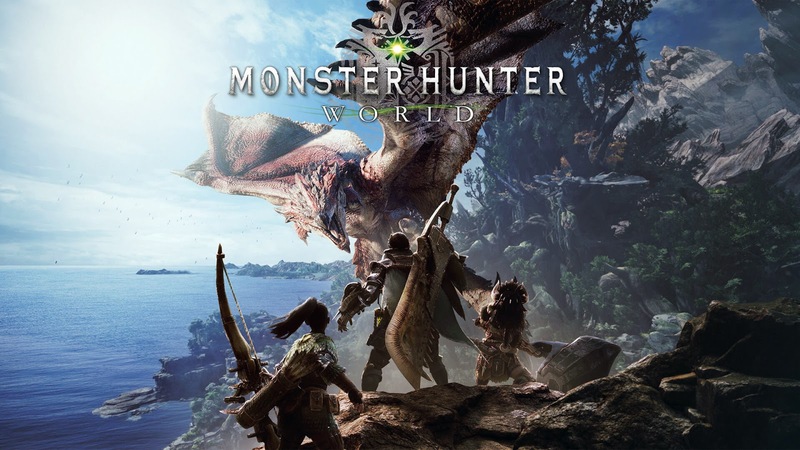 This is a new adventure that takes you to set sail for the next two weeks to face a new threat of an enormous Megalodon shark, which will take only team efforts to tackle. 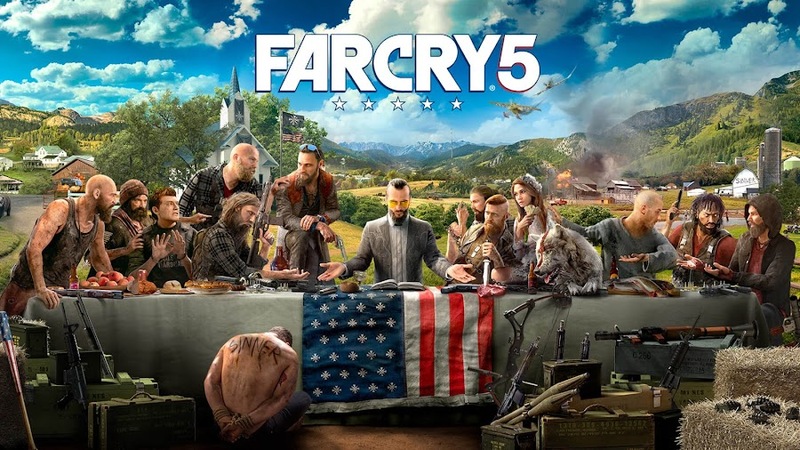 Aside from your crew-mates and fellow bandits, you have new tools like communication device, flag system and speaking trumpet to achieve a much desired victory over the undisputed terror of all seas that is not as extinct as we have thought. They are very real and are meaning to haunt you in your nightmares. 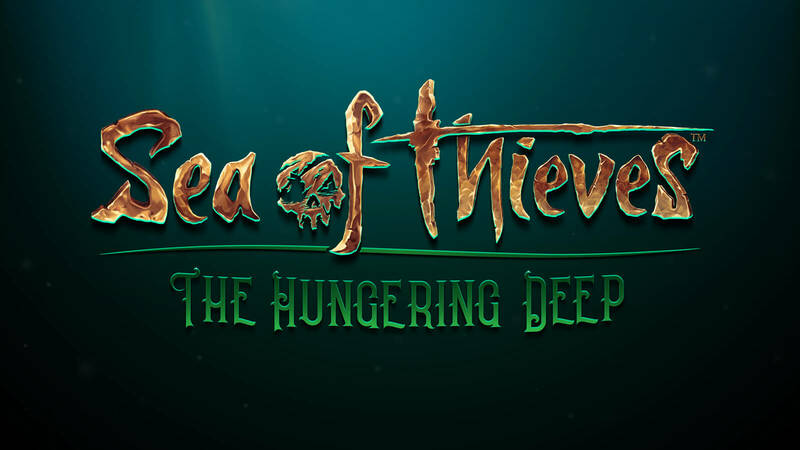 Whether you bought Sea of Thieves for PC or Xbox One, or gained access to the game as a perk to Xbox Game Pass, The Hungering Deep is a completely free DLC for all. All you need is a copy of the base game and then download this update to enjoy the life of a pirate. Rare promises to drop two more updates; "Cursed Sails" and "Forsaken Shores" this summer to deliver a pleasant experience to their fans. While you are busy trying to tame the ancient one, the developers will be working on more contents for the game. Online toxicity is a huge issue these days whether it is on social media or online games that needs immediate fixing. 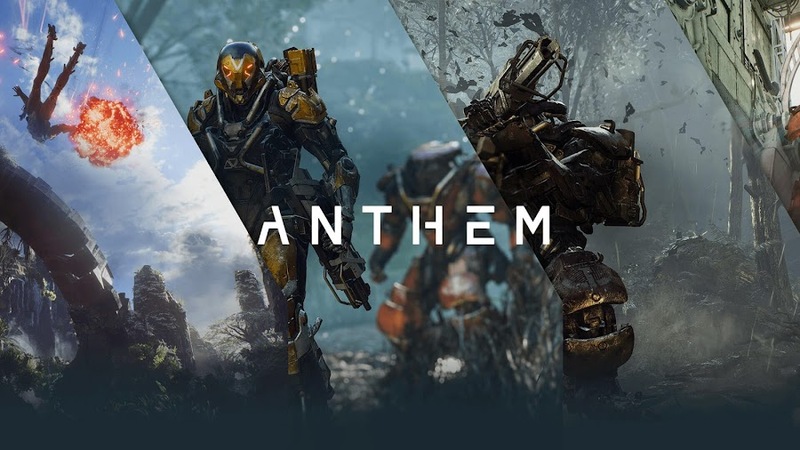 The situation is so dire that major name of game industries like Blizzard, Riot Games and Twitch are being forced to team-up to fighting toxicity in gaming. 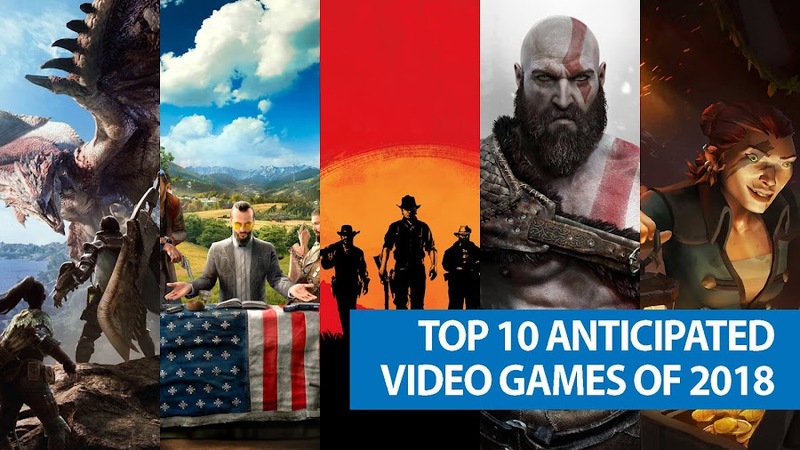 That brings us to the question of how developer studio Rare Studio of recently released action-adventure game Sea of Thieves is doing against online harassment. Well, Rare studio has a built-in contingency within the game and it is right there you to find out. The pirate ships of the players have a brig aboard, which is to deal with others disrupting orders in the game. 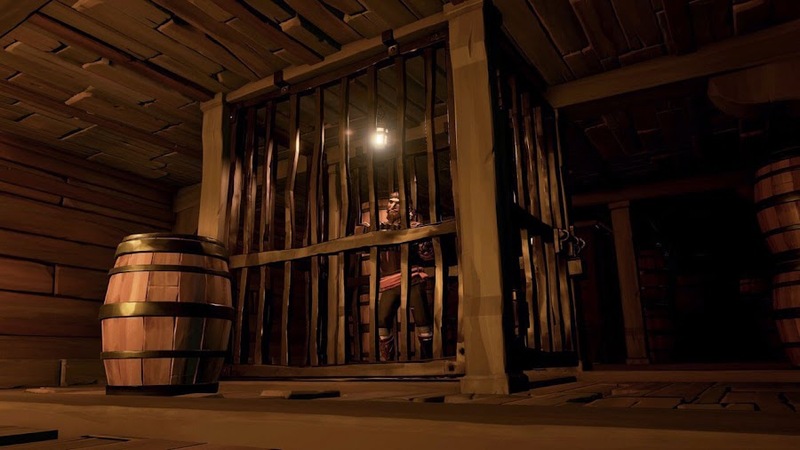 There is a holding cell underneath the pirate ship, where players upsetting the order will be sent only after a democratic voting by fellow shipmates. What type of punishment will be fit for the accused are decided by the remaining players and they do all of this in a punishment manner. 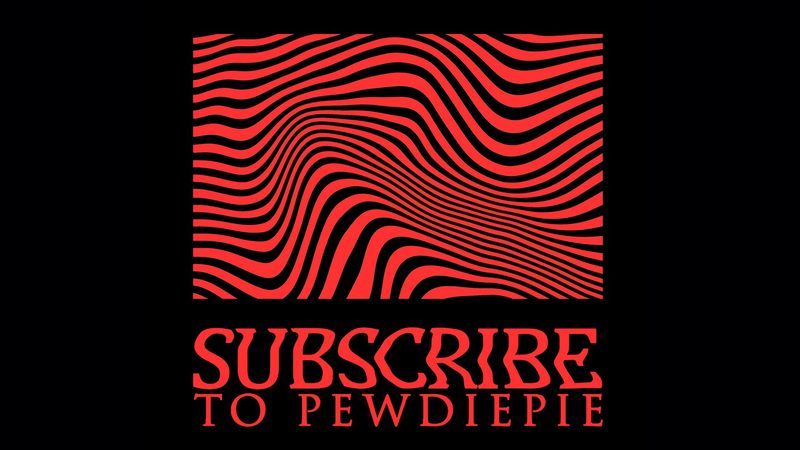 Now, players don't need to go ranting on social media or community forums about their dispute and toxic behavior. Instead, everything can be resolved within the game without hampering the nature of the game. Someone joining you online in a multiplayer game and ushers chaos is not something new but this new in-game mechanics Sea of Thieves have introduced is truly a cool idea. 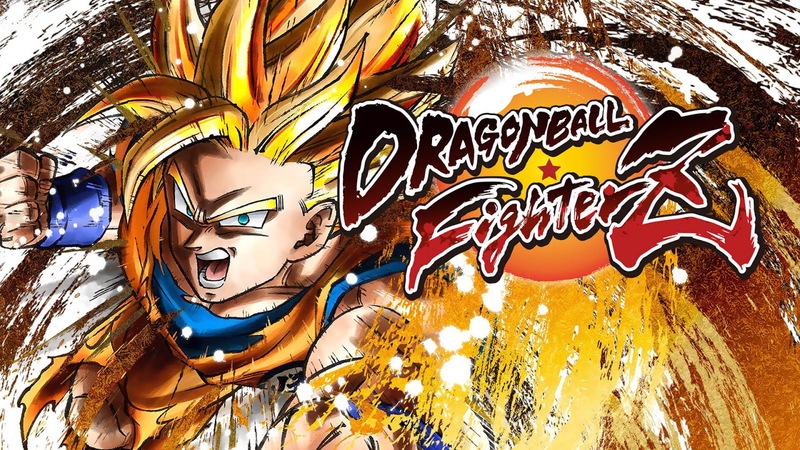 This serves the purpose of give more power to players of the community and fighting the online multiplayer toxicity. 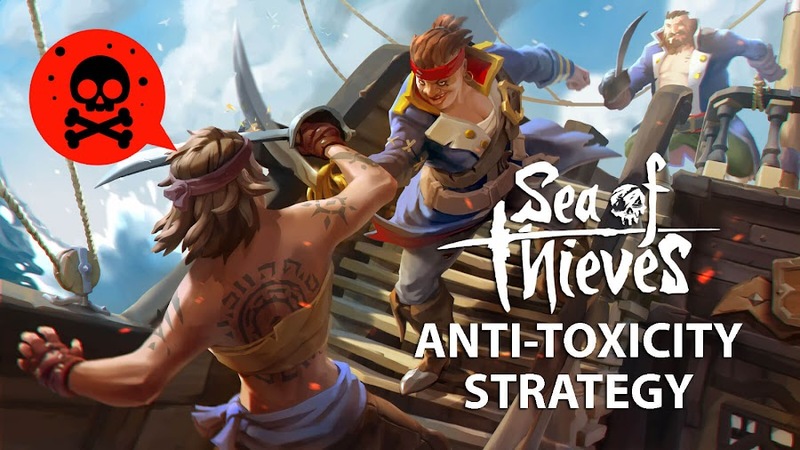 Also, players now have more environmental control over their online atmosphere at Sea of Thieves community. Not only does this helps the participants lessen their stress over another player with troublesome behavior, it also helps rehabilitate the agitators and get back to their former condition. Until now, the most common solution for a stubborn troublemaker joining in and making things miserable for the others is to kick them out of the game or just simply ban them. The brig however, improved on this part by handing his fate over the players' disturbed teammates. The mischievous individual also gets a chance to either apologize for their actions or negotiate some terms with fellow pirates. This way, all parties can win and maintain a peaceful environment for gaming. 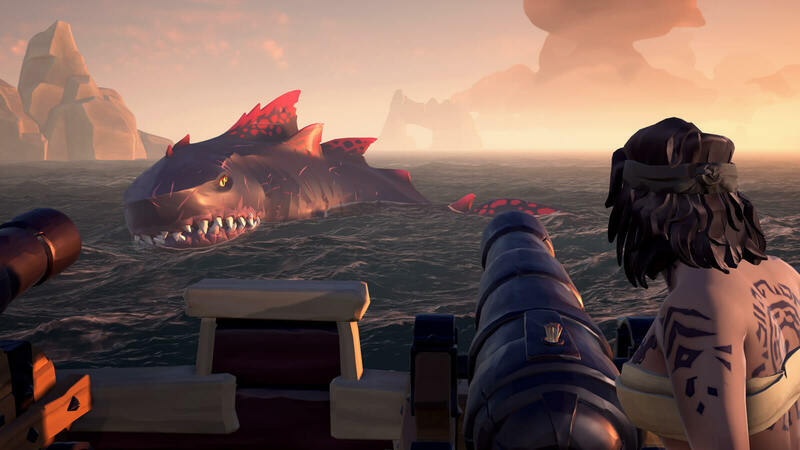 At the recent Game Developers Conference, Microsoft's researcher Jerome Hagen talked about this innovative feature in Sea of Thieves and he believes that this new playful solution might be actually a great idea. Other respective individuals working on this particular issue present at GDC 2018 were also quite hopeful about this new method by Microsoft in battling disruptive behavior. 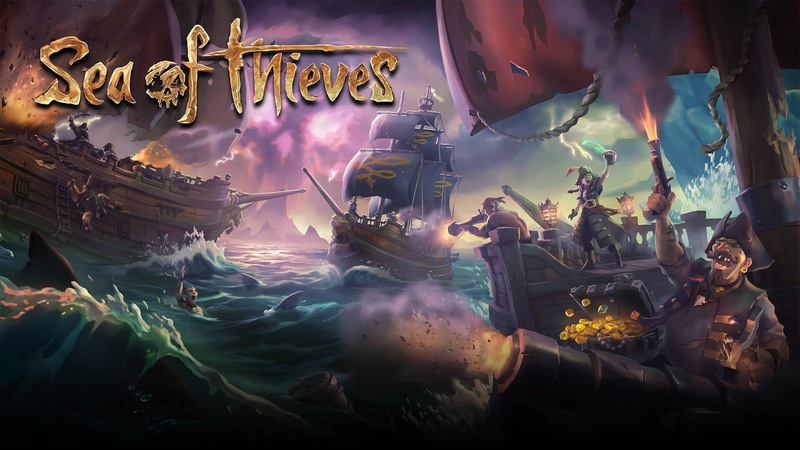 Rare’s action-adventure title Sea of Thieves has been released on March 20, 2018 for PC and Xbox One. Though the game is having some post-launch issues, the studio's brilliant take on anti-toxicity measures can actually pay off and bring more players to the game. No matter how it plays out in the end, The Brig would be the first major step to eradicate in-game annoyance for the foreseeable future. Get ready for set sailing your pirate ship with the upcoming action-adventure game Sea of Thieves from developer Rare Studio as the Closed Beta has ended recently and we got more news regarding the game. A new Xbox One S bundle has just been announced for this Xbox One exclusive of 2018 today and it offers the best value for the shared-world adventure of Sea of Thieves that has unique multiplayer as well. 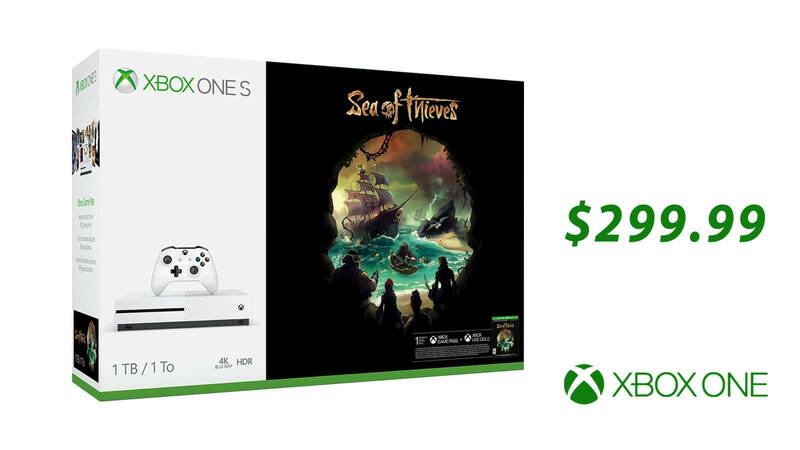 Available from March 20, 2018, the new Sea of Thieves Xbox One S Bundle offers you a few more loots alongside the titular game on the same date of its release. 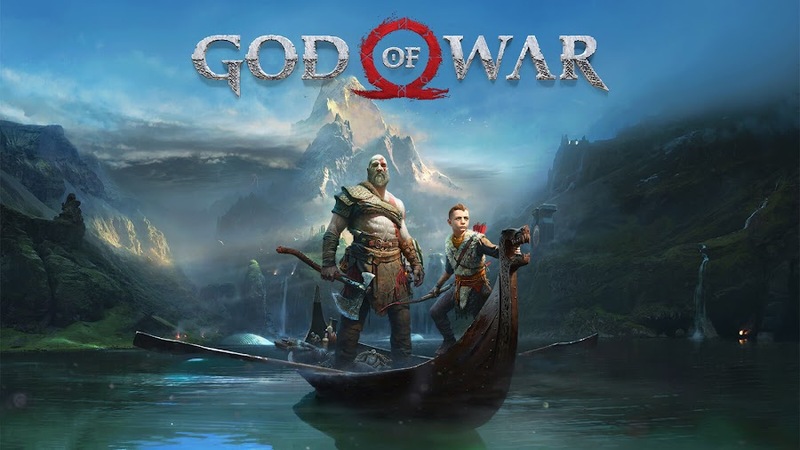 The combo of one of the most widely anticipated upcoming title comes in the finest gaming console only for the price of $299.99 at any Microsoft Store near you or online. You can also pre-order the bundle before it hits the stores. Of course you are going to get a copy of Sea of Thieves along with the Xbox One S Bundle for sure. What other perks are also part of the package is what we are about to talk down below. The Xbox One S bundle will comes with a 1TB hard drive, an Xbox Wireless Controller and 4K Ultra HD Blu-ray player built-in. 4K video streaming support is also enabled in it. Don't forget the addition of High Dynamic Range and premium audio quality with Dolby Atmos. 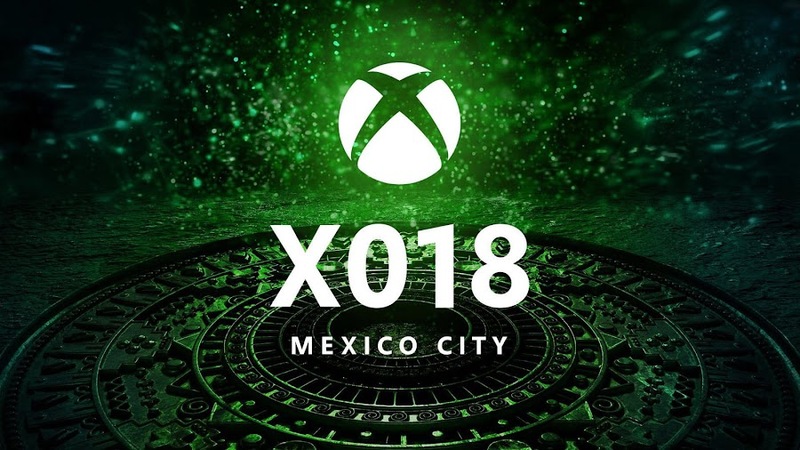 There are over 200 console exclusives from a collection of more than 1,300 exciting games and 400 other games from three generations of Xbox history. 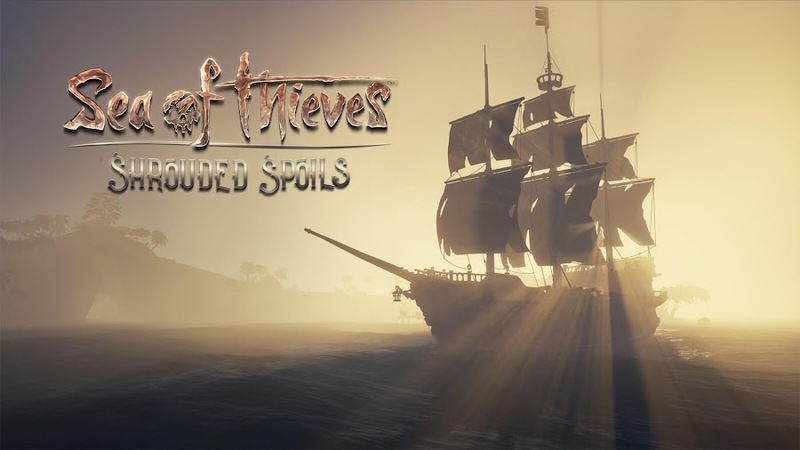 The bundle gets you the full-version of Rare's open world action-adventure Sea of Thieves on the day of Xbox One release and you are all set to voyage the vast oceans with your crews. Go out exploring the possibilities and surprises the world holds for you as you keep solving puzzling mysteries and claim buried treasures. 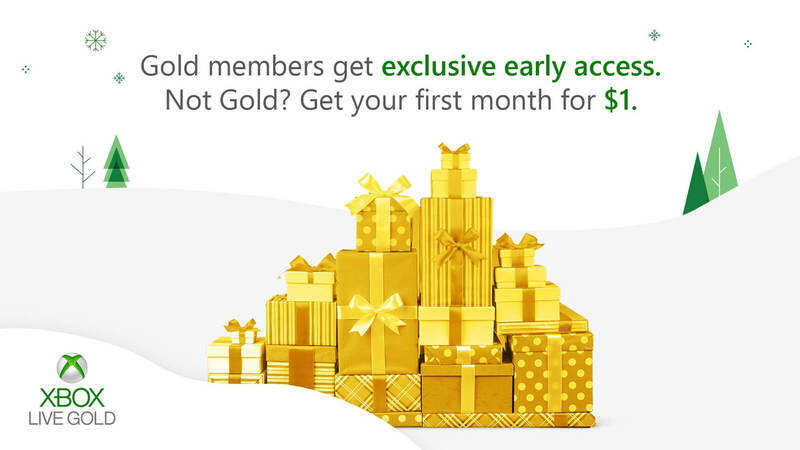 A 1-month trial period for Xbox Live Gold membership comes as part of the package with the bundle to deliver you the multiplayer gaming experience like never before on the on advanced super-fast gaming network hosted by Microsoft. You get an Xbox Game Pass trial for a month to explore more than 100 Xbox One games to try on three generations of consoles. 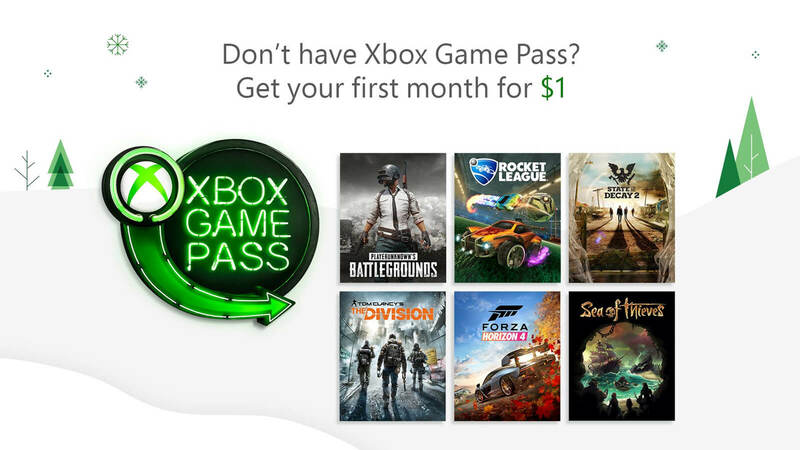 Xbox Game Pass membership will also let you play games like State of Decay 2 and Crackdown 3 from Microsoft Studios at the very date of worldwide release. 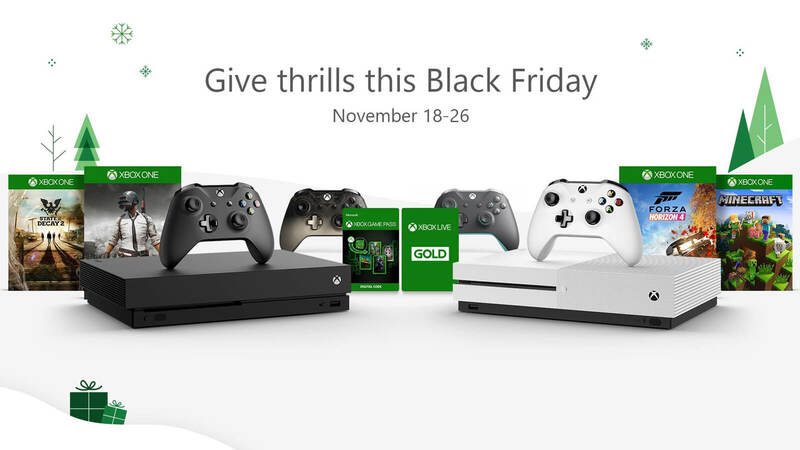 However, the one thing that you should take note about the whole package is that unlike most special edition consoles, you are not getting any special controller for the Sea of Thieves Xbox One S Bundle. Because, the entirety of the deal is for no special edition and just a basic console put together with an exclusive game. 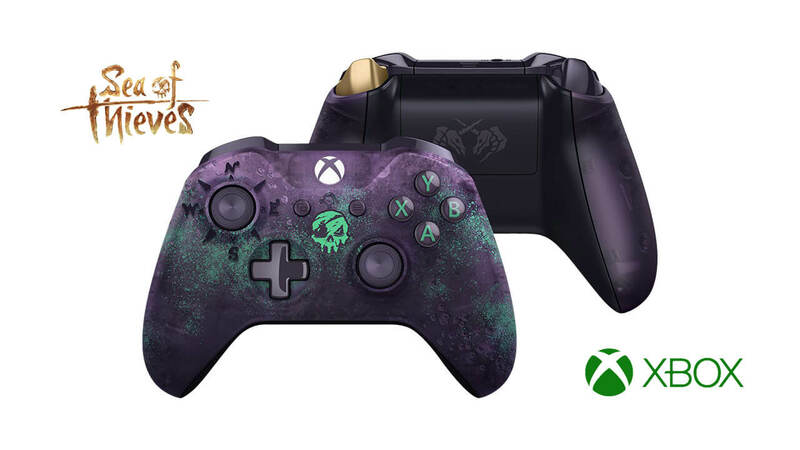 If you want that gorgeous translucent purple colored Sea of Thieves Special Edition Xbox Wireless Controller, you have to spend an extra $74.99 bucks to it separately. 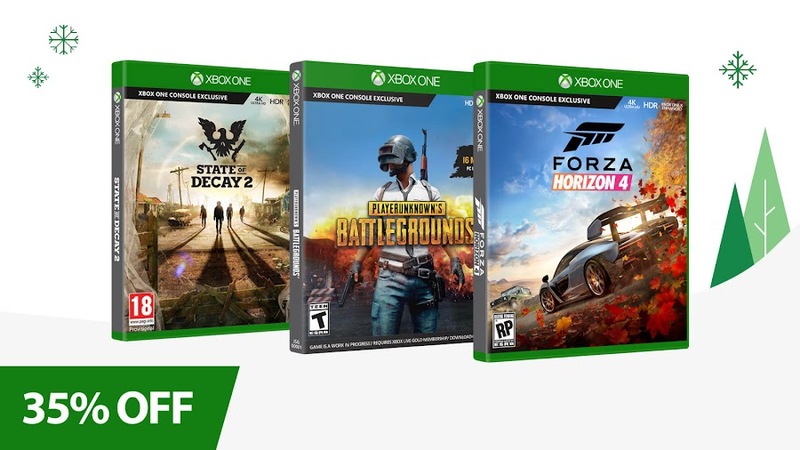 Getting a deal for an Xbox One S Bundle that comes with an exclusive game as Sea of Thieves for against $299.99 only is a relatively fine offer. The biggest upside of the offer is the discount you are getting with this purchase. You can also get the Sea of Thieves Special Edition Game Drive for Xbox from Seagate to increase the storage capacity of your console. 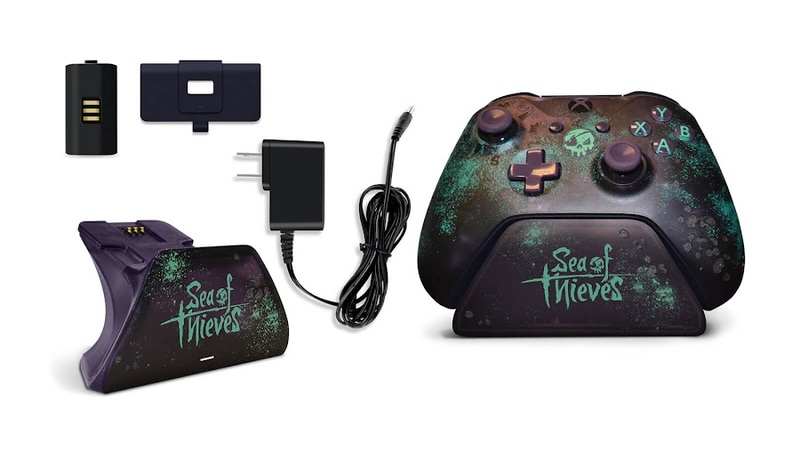 With the growing intensity for the upcoming action-adventure game Sea of Thieves from developer Rare Studio and publisher Microsoft Studios, limited edition Sea of Thieves Xbox wireless controller was announced back in December, 2017. This gear from Seagate and Controller Gear is fully based on the vibe of the game and there are more accessories aside from the wireless controller to complete your pirate-themed gaming setup at home with a special edition Sea of Thieves game drive and limited edition Xbox One controller stand. The special edition Sea of Thieves game drive is designed for Xbox and has 2TB of space to enhance the storage capacity of your console. That means you can now store up to more than 50 of your favorite games, including Sea of Thieves of course. Inspired by the dark theme of the game, the drive is colored in deep purple and the iconic “Reaper’s Mark” glowing skull is printed on it. Just like the limited edition wireless controller, the drive also has a slight hint of gold. One month worth of trial membership for Xbox Game Pass to try out over 100 games comes along with this special edition Sea of Thieves portable game drive and that's not just all. 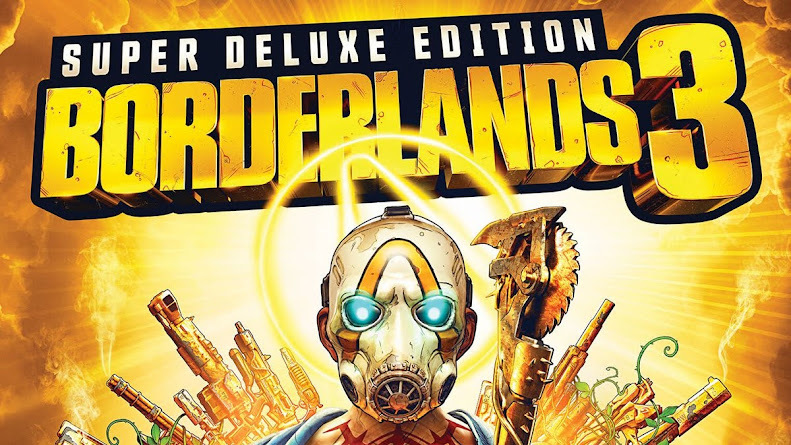 There is a jewel-augmented weapon called The Midnight Blunderbuss that you will find in-game for your very own character to wield, which is also part of this package. From March 20, 2018, the game drive will be available in Canada, France, Germany and US for the price of $89.99 only. 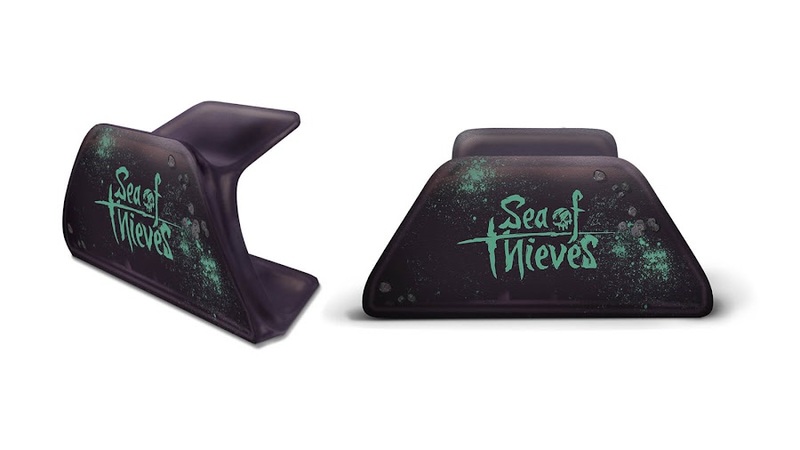 The next piece of Xbox accessories will be the special edition Xbox Pro charging stand from the line of Sea of Thieves gears. The new Xbox Pro charging stand from Controller Gear comes with all the same touch all over it to match with the other similar pieces of your Sea of Thieves gaming setup. There is a magnetic contact system inside to make sure that your Xbox One controller is being charged safely. This one is marked to drop on April 5 and you can own it only for $49.99. 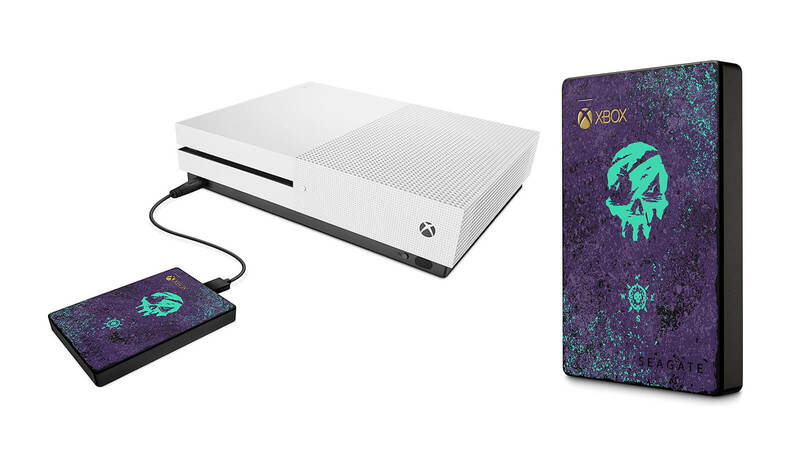 If you still can't have enough of the Sea of Thieves-themed Xbox accessories to satisfy your appetite for more goodies, then I believe we've got just the thing for you. How about a compatible Xbox Pro Controller Stand V2.0 with the same Sea of Thieves styled high quality design from Controller Gear? Priced only $14.99, this one not only keeps your controller charged but also manages a nice display for it. Without the right gear and props, your pirate adventure will feel dull and incomplete. 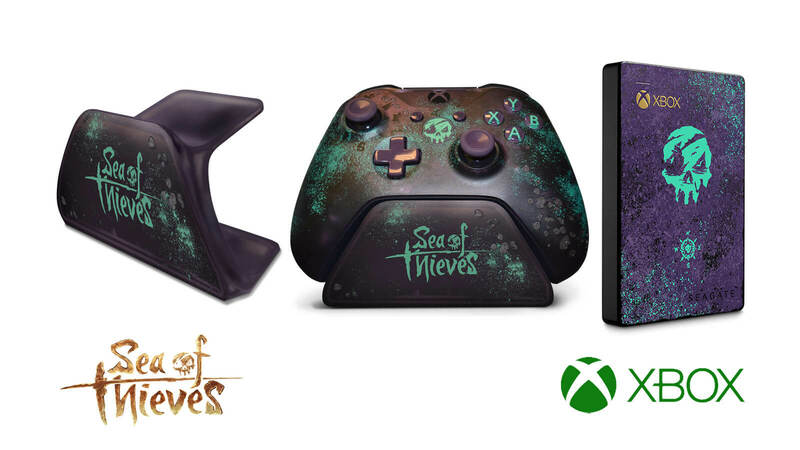 So, these Sea of Thieves-themed special edition Xbox accessories seems like a perfect fit for setting you up for some looting mode with your pirate buddies over the seas as you take charge of your ship.